Gosh the swamp in Washington DC are in a feeding frenzy over Donald Trump’s meeting in Finland with Vladimir Putin and his subsequent invitation for him to come to the White House in the Fall for more discussions. Why? It seems like a very logical and sensible suggestion to me. And Donald Trump's base, i.e. the people who elected him seem pretty happy with it too and clearly believe in the jaw rather than war. Let's face it, Donald Trump again is only doing, "what it says on the can". He promised to redefine relations with Russia during the election and it looks like he is doing exactly that. Okay, he could have chosen his words better at the Helsinki press conference but did they really deserve the hysterical, in every sense of the word, overreaction from the MSM, the Democrats and even his own party? There were even repeated accusations of treachery! I know that he then performed that rather curious redefinition, to calm down his spooks, which of course no one believed including the Donald himself. Almost straight afterward came the invitation to Putin for talks at the White House and I for one welcome that. Just for a minute, please compare and contrast his attempts at redefining America's relationship with the Kremlin with that of the UK government. Ever since the Skripal saga began our Government has been accusing, with no evidence so far produced, that Russia and Putin were, in effect, the attempted assassins. The propaganda machine of the controlled MSM have loved this and have been effectively stating for weeks that the Russians all but eat their babies. It was ludicrous then and it is even more ludicrous now. They even tried to sabotage the World Cup which almost everyone now agrees was one of the best tournaments of the modern era. I think the more they push this anti-Russia stance, the more ordinary people in the UK, just like Trumps supporters in the USA, believe less and less of their story. The Editorial in today's Times newspaper is almost as hysterical as the reaction by the American MSM to Trumps meeting with Putin. They are demanding "a new law to punish the Skripal poisoners" and without a hint of irony they say, "Russia has spun a dozen toxic fairy tales in the wake of the Salisbury poisoning in March." I have no intention of going through every twist and turn of the narrative that my government has spun about the Skripal poisoning apart from to state that I didn't believe their story from the moment that Boris said, "it woz the Russians wot did it". And I still don't believe it after yesterday's Press Association announced that the cops have identified the suspects as probably Russian by using facial recognition techniques. I do hope I am wrong and that it is true and if so let's name the suspects, let's tell the Russians to hand them over and let's have a fair trial. That is the British way, isn't it? However, despite repeated requests from the Russian Ambassador to share information with his country or even let him see his citizen, Yulia, the UK government has refused to do so. "Curiouser and curiouser" as May and Boris lead us further down the Rabbit Hole don't you think? The Times, however, want more as they ramp up the hysteria, saying, "The Skripal suspects should be named, placed on a travel ban and have any UK assets frozen. If a Russian airline transported the men carrying the poison, it should also be sanctioned. If the hit team were GRU operatives, their commanders in Moscow should be sanctioned. If they were contracted thugs hired by the GRU, the links between organized crime and the authorities should be spelt out. We need a Skripal Act, a law that tackles political murder attempts and recognizes, like America's Magnitsky Act, that they need to be punished on different levels". I bet the Editor needed a shower or a lie down after writing that vitriol, "Calm down Dear". All of this might be a good idea if it hadn't become quickly apparent, long before the newspaper was printed, that this twist in the story was not being taken seriously even by the UK security Minister, Ben Wallace who tweeted "I think this story belongs in the ill-informed and wild speculation folder"
He is probably correct and that folder, of course, should also contain the nonsense about the Novichok being in the porridge, the car's air conditioning, Yulias suitcase etc. I have been saying for weeks that the UK government narrative is like a perverted game of Cluedo and only wonder how long it will be before we find out it was the Reverend Green in the study with the lead piping. I loved the reaction of the former ambassador, Craig Murray who tweeted, "Unnamed source close to unnamed British police officers tells unnamed Press Association journalist Britain knows the unnamed Russian agents who attacked the Skripal's' doorknob with gel-filled perfume bottle then went to central Salisbury to leave it in a park. Totally convinced." Call me a cynic but it is also interesting to note that the "perfume bottle" development came out on the day after May only just managed to survive in the Commons. 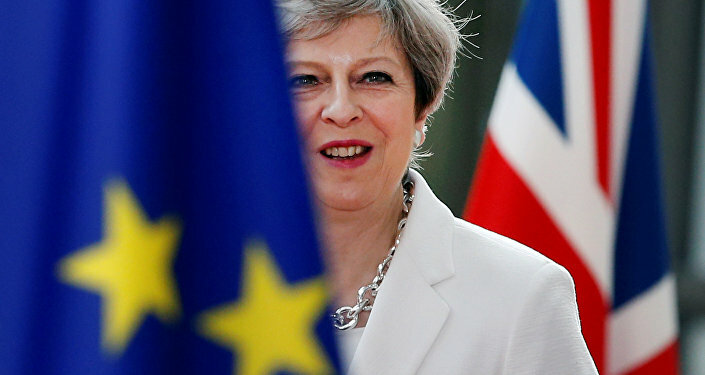 I have had enough of this nonsense from our failure of a Prime Minister and her inept Government and the bozos in the opposition benches. We need to take a leaf out of the Donald's book on international diplomacy and in the words of that song by Orange Juice we need to, "rip it up and start again". Fat chance though, as we have a PM with the oratory skills of a dead duck who has failed to convince her own party over Brexit. We have a Parliament stuffed full of people who are denying the wishes of the people over Brexit whilst trying to grant themselves more holiday and now cover up any of their misdemeanors. All of the people in the House of Commons need to be reminded, just as the swamp in DC were, that they are there to serve the people, not the other way around. 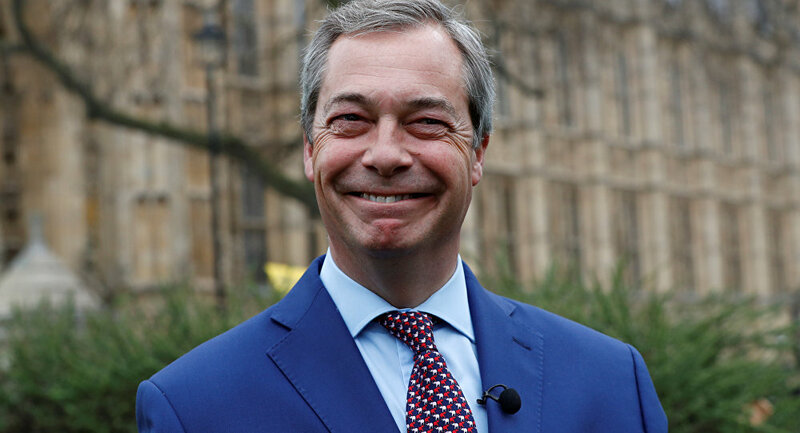 I am just praying that the rise in UKIP's popularity in the polls, up to eight percent now, and the inevitable return of Nigel Farage will focus their self-serving minds. Nigel, stop messing around, will you. Your Country needs you NOW.